This Services Agreement (the "Agreement") contains the complete terms and conditions which govern your subscription of Drupal hosting, Website Starter Pack, Web hosting, Graphic design, Domain Name Management and other Internet-related services provided by Hot Graphics (the "Services"). As used in this Agreement, "Hot Graphics" means Hot Graphics and "Client", "you", or "your" means you. By using any of Hot Graphics Services, you acknowledge that you have read the Agreement, and you agree to its terms and conditions and all policies posted on the Hot Graphics web site. 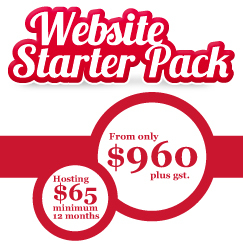 As referred to in this Agreement, "Site" refers to a World Wide Web site and "Hot Graphics Site" refers to the Site located at the URL http://www.hotgraphics.com.au, or any other successor Sites owned or maintained by Hot Graphics. Hot Graphics provides the Services exclusively and makes no effort to edit, control, monitor or restrict the content of data other than as necessary to provide such Services. The Client may occupy only the amount of disk space on the Hot Graphics Server and utilise no more than the network data transfer that is allocated by Hot Graphics. Additional fees will be charged for exceeding the disk space and/or network bandwidth allowance of your selected plan. Client shall not use our Services for chain letters, junk mail, spamming, bulk mailing (more than 500 recipients) advertising or any use of distribution or mailing lists to any person who has not given specific permission to be included in such a process. Client also shall not engage in any unsolicited email practices using Hot Graphics Servers or other infrastructure, or otherwise, that mentions or reference any domain hosted on Hot Graphics servers or parked on Hot Graphics DNS servers. Client agrees that any hosting account that uses excessive CPU or Memory resources (25% or more) for a sustained period of time (ten minutes or more) may be suspended at any time without notice. Hot Graphics reserves the right to terminate sites that are repeatedly using excessive resources at any time with prior notification. Hot Graphics will provide the offer to backup the clients files and database and make a tarball of these available for download by the client. Hot Graphics takes all reasonable steps to safeguard the Hot Graphics Servers and the data contained there-in, however Hot Graphics will not be responsible for any loss of Client data or DNS records stored or intended to be stored on the Hot Graphics Servers and/or back-up devices. The Client will not be entitled to any form of compensation from Hot Graphics in the event of loss of data. Whilst Hot Graphics actively performs a variety of backups daily, there may be times when the backups fail or become unavailable. By acknowledging and signing your agreement you free Hot Graphics from any legal action in the event of data loss and you agree that you will not be entitled to any form of compensation for said loss. Hot Graphics will update the software used by the Drupal hosting and Website Starter Pack hosting packages within the same major version release of Drupal. At any given time, there are two major release series of Drupal which are supported. Currently, these are Drupal 6 and Drupal 7, as determined by the drupal.org website. A website using an unsupported version must be updated at the cost of the Client or will be terminated. For Services where the client or authorised party can upload scripts and applications, the client agrees they are responsible to maintain and update this software. Failure to do so may expose our servers to possible exploits and costs to restore services may be recovered from the client of the site initially affected. Domain Name Transfers can only be processed with the Domain Name Password (Auth-Info for .au & EPP for .com/.net etc). Australian Domain names (.au) due to expire within 30 days will be automatically renewed for a further 2 Year period and International Domains (.com/.net/.org etc) will be renewed for a further 1 year period. The clients accept that domain name transfers will be rejected if the domain name has been recently registered or transferred within the last 30 days or is in Domain Locked status. Domain Transfers will also be rejected if the Client Authorisation email sent by the registry is not responded to. Hot Graphics Drupal Hosting is provided as a “Software as a Service” (SaaS) with access to the Drupal UI to make changes to the site. Client may not access the hosting platform or upload additional software. The Client may choose to use a 3rd party hosting service to host the website. Hot Graphics will provide a tarball of the site specific files and database dump. It is the responsibility of the Client to install the website software on the 3rd party hosting and install any additional required software. Hot Graphics accepts no responsibility for your website not working on other hosting platforms. From time to time we must take the service off-line to perform maintenance in the form of software and hardware upgrades to ensure the services continues to operate at its optimum. Maintenance will be carried out in periods of low usage to minimise disruption. Due to the infinite number of considerations that search engines use when determining a site's ranking, Hot Graphics cannot guarantee any particular placement. Acceptance by any search engine cannot be guaranteed and when a site is accepted, the time it takes to appear in search results varies from one search engine to another. Rankings will also vary as new sites are added. Hot Graphics accepts no responsibility for your site's ranking. Copyright is retained by Hot Graphics on all design work including words, pictures, ideas, visuals and illustrations unless specifically released in writing and after all costs have been settled. If a choice of design is presented, only one solution is deemed to be given by Hot Graphics as fulfilling the contract. All other designs remain the property of Hot Graphics, unless agreed in writing that this arrangement has been changed. At the time of proposal, Hot Graphics will provide the customer with a written estimate or quotation. The Terms and Conditions can be read on the Hot Graphics website. A copy of the written estimate or quotation is to be signed and dated by the customer to indicate acceptance and should be returned to Hot Graphics. Alternatively, the client may send an official order in reply to the estimate or quotation which binds the client to accept Hot Graphics terms and conditions, or an email acknowledging acceptance of the quotation. No work on a project will commence until acceptance of the quotation has been received by Hot Graphics. Charges for design services to be provided by Hot Graphics will be set out in the written estimate or quotation that is provided to the customer. At the time of the customer's signed acceptance of this estimate or quotation, indicating acceptance of the Terms & Conditions, a non-refundable deposit of 50% of the quoted fee will become immediately due. Work on the project will not commence until Hot Graphics has received this amount. By supplying text, images and other data to Hot Graphics for inclusion in the customer's website or other medium, the customer declares that it holds the appropriate copyright and/or trademark permissions. The ownership of such materials will remain with the customer, or rightful copyright or trademark owner. Any artwork, images, or text supplied and/or designed by Hot Graphics on behalf of the customer, will remain the property of Hot Graphics and/or its suppliers. The customer may request in writing from Hot Graphics, the necessary permission to use materials (for which Hot Graphics holds the copyright) in forms other than for which it was originally supplied, and Hot Graphics may, at its discretion, grant this. Such permission must be obtained in writing before it will allow any of the aforesaid artwork, images, text, or other data to be used. By supplying images, text, or any other data to Hot Graphics, the customer grants Hot Graphics permission to use this material freely in the pursuit of the design. Should Hot Graphics, or the customer supply an image, text, audio clip or any other file for use in a website, multimedia presentation, print item, exhibition, advertisement or any other medium believing it to be copyright and royalty free, which subsequently emerges to have such copyright or royalty usage limitations, the customer will agree to allow Hot Graphics to remove and/or replace the file on the site. The customer agrees to fully indemnify and hold Hot Graphics free from harm in any and all claims resulting from the customer in not having obtained all the required copyright, and/or any other necessary permissions. The customer also agrees that Hot Graphics holds no responsibility for any amendments made by any third party, before or after a design is published. Any design, copywriting, drawing, idea or code created for the customer by Hot Graphics, or any of its contractors, is licensed for use by the client on a one-time only basis and may not be modified, re-used, or re-distributed in any way or form without the express written consent of Hot Graphics and any of its relevant sub-contractors. All design work - where there is a risk that another party make a claim, should be registered by the client with the appropriate authorities prior to publishing or first use or searches and legal advice sought as to its use. Hot Graphics will not be held responsible for any and all damages resulting from such claims. Hot Graphics is not responsible for any loss, or consequential loss, non-delivery of products or services, of whatever cause. The customer agrees not to hold Hot Graphics responsible for any such loss or damage. Any claim against Hot Graphics shall be limited to the relevant fee(s) paid by the customer. Any indication given by Hot Graphics of a design project's duration is to be considered by the customer to be an estimation. Hot Graphics cannot be held responsible for any project over-runs, whatever the cause. Estimated project duration should be deemed to be from the date that cleared funds are received by Hot Graphics for the initial payment or by date confirmed in writing by Hot Graphics. Hot Graphics shall either (i) debit the Client's credit card (when such information is provided by the Client), or (ii) produce an invoice which will be delivered to the Client by email with additional payment methods. All new accounts must be paid prior to the new account becoming active on our servers. Domain name registration fees must be paid upfront before the domain name will be registered. Hot Graphics accepts no responsibility for domain names registered by another party prior to the Client paying the outstanding amount. On-going invoices will be issued five (5) days prior to the due date. A reminder will be issued three (3) days after the due date. The account will be automatically suspended ten (10) days after the due date, and a notice will be issued advising of the suspension. Hot Graphics shall be entitled to immediately terminate this Agreement thirty (30) days after non-payment or from failure to make timely payments. If Client terminates this Agreement in accordance with Section 5 hereunder, Client shall be responsible for any outstanding fees owed to Hot Graphics and agrees to pay any and all fees incurred by Client. Because the Services are provided on a monthly basis, unless a contract is in place, Client will be responsible for Service fees incurred each month regardless of when Client provides notice of termination. Thus, for example, if Client provides notice to terminate on the 15th of a particular month, Client will still owe fees for the entire month and such fees will not be pro-rated or refunded. If Client has retained the Services for one (1) year and has pre-paid Hot Graphics for such Services, refunds will be issued for any unused full month portions less one month of the Services upon Clients request. Therefore, if the Client's account is cancelled at any point during the one (1) year term, the Client will be entitled to a refund for all but one of the full months remaining after notice given by the 25th of the preceding month. Any payment not received within 10 days after due date may incur a late payment fee of $5.50. Customer also shall pay to Hot Graphics all expenses incurred by Hot Graphics in exercising any of its rights under this Agreement or applicable law with respect to a Payment Default or other breach by Customer, including, but not limited to, reasonable Solicitors fees and the fees of any collection agency retained by Hot Graphics. If Client chooses to register a domain name(s) through Hot Graphics, Client acknowledges and agrees that Client will pay a registration fee(s) to register the domain name(s) with the applicable domain name registrar. Hot Graphics does not offer refunds for domain name registrations for any reason, including misspelling of the domain name. Domain name registration fees must be paid up front. Hot Graphics accepts no responsibility for domain names registered by another party prior to the Client paying any outstanding amount. Web hosting customers of Hot Graphics are eligible for a 30 day full money back guarantee. Should the customer choose to take advantage of the 30 day money back guarantee, all monies the customer paid for their hosting services will be refunded to them. If the customer has paid their fees via money order or cheque, a cheque will be issued and sent to the customer's address on file. If the customer has paid for hosting services using a credit card, all monies will be refunded by the same method to which it was paid. Note: this policy does not apply to Domain name registration fees, SSL certificates, Graphic Design, or Development. The parties agree that in no event shall Hot Graphics be liable to any third party for Client's breach or alleged breach of any of the terms and conditions set forth in this Agreement. Client agrees to defend, indemnify and hold harmless Hot Graphics from any and all expenses, losses, liabilities, damages or third party claims resulting from Client's breach or alleged breach of any Client obligations set forth hereunder. Subject to the terms and conditions hereof, this Agreement shall be effective on the date you register for the Services, and shall continue in effect on a month-to-month basis unless otherwise specified by separate agreement (the "Term") unless terminated earlier pursuant to the provisions of this Section 4. Either party will have the right to terminate this Agreement upon notice to the other party. All cancellation requests must be received by the 25th of the respective month of cancellation. Sections 3 - 8 shall survive termination or expiration of this Agreement. If Hot Graphics suspends any type of account for non-payment, Client shall be allowed to re-instate Client's use of the Services within Five (5) business days of suspension upon approval from Hot Graphics and the receipt of full payment of balances due. If a Client terminates their account, Hot Graphics will disable and remove the account(s) the day the client specifies the cancellation to take place and all archives of the clients website(s) and files will be removed. Should the client be in arrears for 30 days or more, as per section 2, the clients site(s) may be terminated without further notice and Hot Graphics will not maintain or provide an archival copy of the Clients Web site(s) or files of any type. It is the sole responsibility of the Client to download the tarball from the server prior to the date provided in their cancellation notice or termination date. Client will pay and indemnify and hold Hot Graphics harmless from any and all taxes associated with or arising from Client's use of the Services, including any penalties and interest and any costs associated with the collection or withholding thereof. In no event shall Hot Graphics be liable for damages resulting from loss of data, profits, use of the Hot Graphics site or any Hot Graphics products or services, or for any incidental, indirect, punitive, or consequential damages in connection with this agreement or in connection with any products or services provided hereunder. In no event shall Hot Graphics cumulative liability exceed an amount greater than one hundred dollars ($100.00). This Agreement and the rights granted and obligations undertaken hereunder may not be transferred, assigned or delegated in any manner by Client, but may be so transferred, assigned or delegated by Hot Graphics. Any waiver or any provision of this Agreement, or a delay by any party in the enforcement of any right hereunder, shall neither be construed as a continuing waiver nor create an expectation of non-enforcement of that or any other provision or right. In any legal proceeding between the parties under this Agreement, the prevailing party shall be entitled to recover its costs, expenses and reasonable attorneys' fees. This Agreement is made under and shall be governed by the laws of Australia, except with regard to it's conflict of law rules. This Agreement and Hot Graphics policies are subject to change by Hot Graphics without notice. Continued usage of the Services after a change to this Agreement by Hot Graphics or after a new policy is implemented and posted on the Hot Graphics Site constitutes your acceptance of such change or policy. We encourage you to regularly check the Hot Graphics Site for any changes or additions.